Our client seeks an experienced Chef de Partie to join their Kitchen Team. The candidate must have experience in a busy kitchen and have the desire to learn and grow. This well-known property has an exclusive and well established restaurant and is looking for top kitchen talent. If you would like to apply for this Chef de Partie job Dublin please attach a CV and we will contact you accordingly. 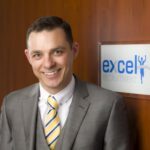 Please visit the excel recruitment website for similar live jobs.